Far-left party weighing possible dissolution of joint list, separation into two separate left-wing factions. Is the far-left Meretz party on the verge of a breakup? Senior members say that amidst growing infighting, the party is weighing a plan to dissolve Meretz and restore its predecessors, the Ratz and Mapam parties. Now, internal pressure threatens to tear the standard-bearer of Israel’s progressive-left asunder and mark the end of Meretz’s 25-year existence. 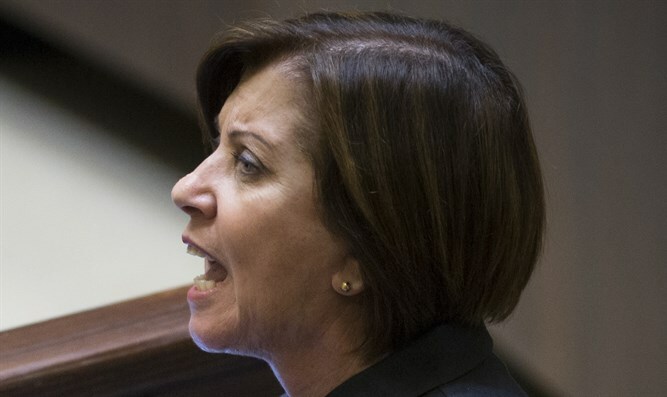 According to a report in Israel Hayom Tuesday, efforts within Meretz to depose Chairwoman Zahava Galon have divided the party along factional lines, pitting members of now defunct Ratz and Mapam movements against one another. Galon, whose leadership of the party is likely to be challenged in upcoming internal elections, was a member of the Ratz movement prior to the formation of Meretz, and according to the report, draws much of her strength from former Ratz members. Efforts to oust Galon are reportedly being led by MK Ilan Gilon and other members of the Mapam wing of the party. Gilon has publicly distanced himself from claims that he is leading the effort to depose Galon as party chief. With the party’s central committee set to vote on a proposal to advance the primary election next Sunday, both sides are preparing to battle for control of the party. At the same time, some senior party members are weighing plans to break up Meretz, restoring the Ratz and Mapam factions. “I’m advocating for open primaries, but there are some in the party who are pushing for a vote within a small group [inside Meretz], leaving Meretz fighting for its life,” said Galon.